﻿ Lardos Holiday Guide - Travel guide to the village of Lardos on the east side of Rhodes in Greece. 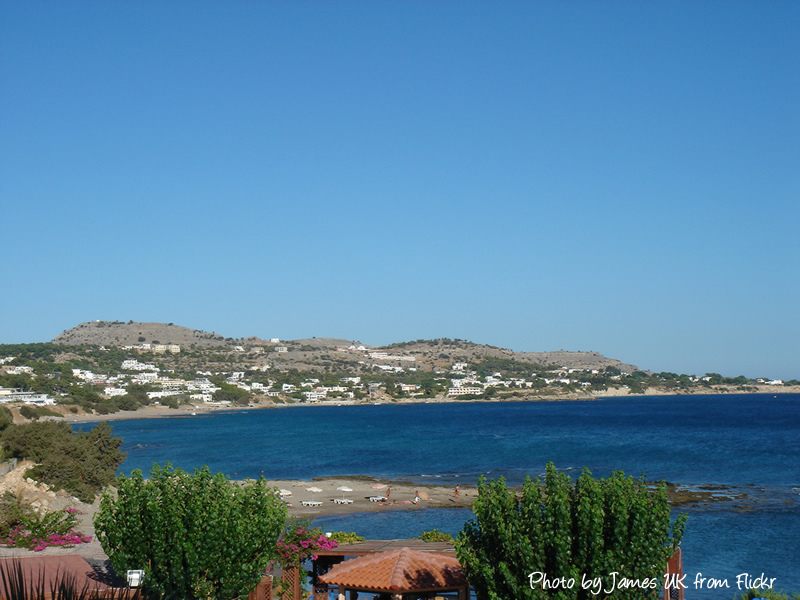 The small village of Lardos and its sandy beach is one of the most popular destinations in Rhodes, the beach here is one of Rhodes finest and the village itself is traditional but lively and all you would expect from a traditional Greek village. Lardos is an excellent destination for families and couples, and its situated on the south east side of the island past Lindos and Pefkos and sits slightly inland. The actual villages sits 2 km away from the beach but you have hotels that have been built on the beachfront now so its not far to go to get to the beach and lovely warm sea. There is plenty to do in Lardos, whether it be sunbathing on the wonderful sandy beaches, enjoying the village with its small sops and cafes or having a couple of drinks in the cafes and pubs here. 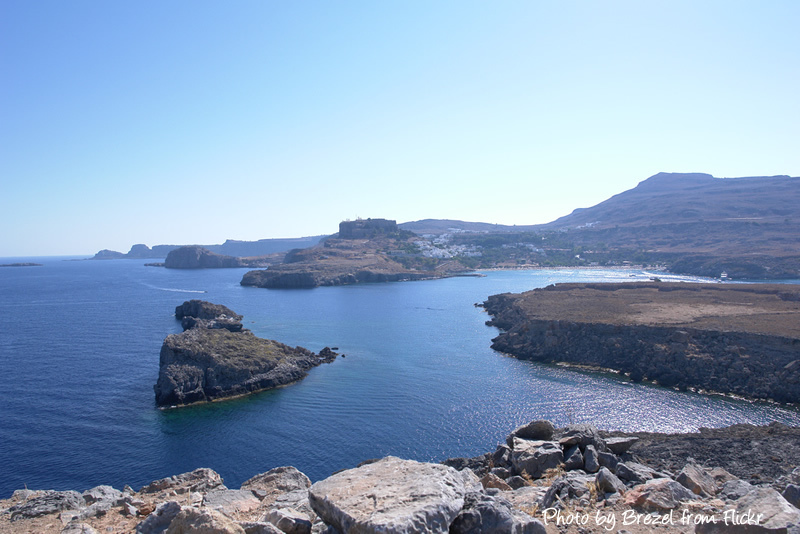 The busier resort of Lindos is just a stones throw away and Rhodes town is reachable by bus. Below you will find a travel guide to the resort of Lardos with a video and some pictures for your holiday inspirations. In the daytime most people who stay in Lardos flock the sandy beaches, with calm waters in this area its perfect for younger families. The beaches themselves are well catered for by a small handful of beach bars serving up well priced drinks and snacks. The beach here is mainly golden yellow sands although you will find it shingle in some places. The waters around Lardos are perfect for snorkelling and fishing also. If you want to do watersports there is plenty on offer here at reasonable prices and you can enjoy everything from pedaloes, banana boat rides to jet skis and the like. The village of Lardos which sits 2 km inland offers everything you would need in the daytime, you can relax in the small Greek cafes and watch the world go by or have a light lunch consisting of Greek salads and more. Most of the local Greek men sit outside the cafes smoking, sipping ouzo and playing backgammon. Head for the village square which is very picturesque and you will see the natural fountain where the locals will still grab fresh mineral water for drinking and come to sit and relax. 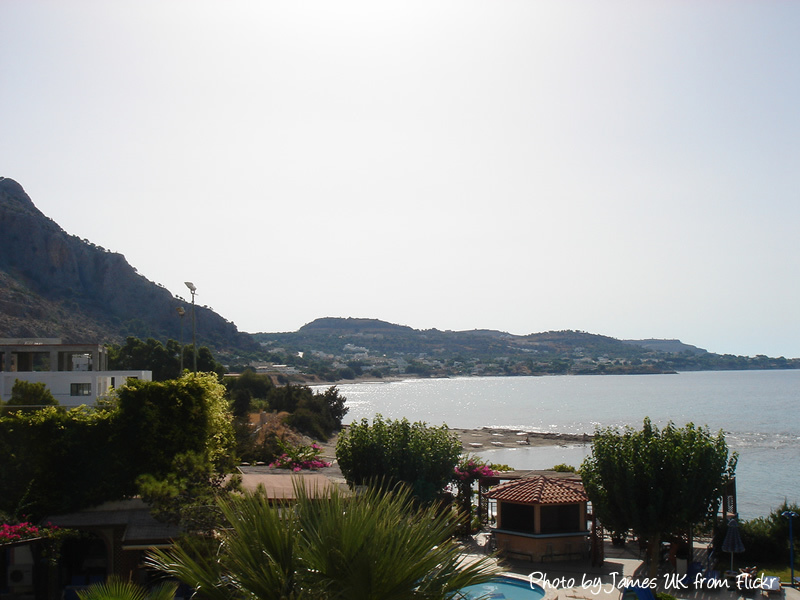 If your looking to stretch your legs and venture further out you can visit Lindos Acropolis or jump on the local bus to Rhodes Town with its plethora of local shops and designer outlets. If staying by the waters edge is more your thing you can hop on one of the many boat trips organised here and see the small island of Symi or even take a trip to Marmaris in Turkey for an exciting day out bartering with the locals. 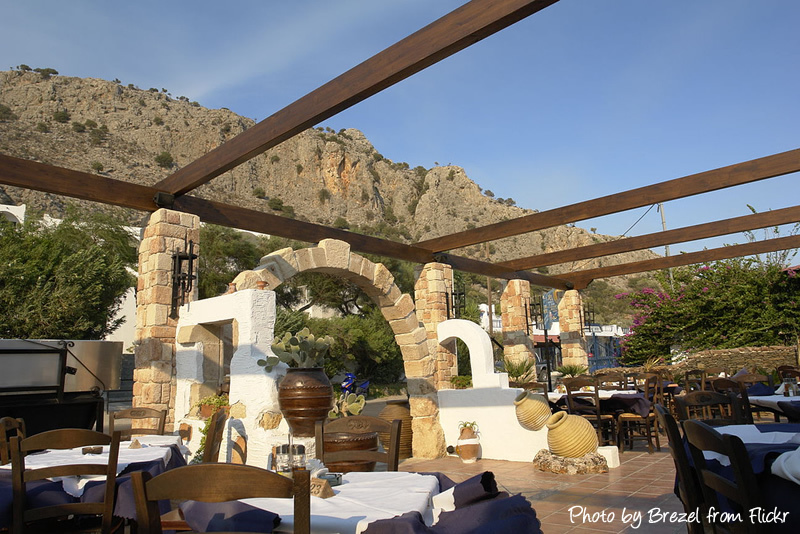 Once the sun sets the village awakes with small Taverna's and cafes serving up excellent traditional Greek food from Mousakka, Stifado, Kleftiko and more. Try the freshly caught fish for a treat or even treat the family to a meze. There are so many good Taverna's in Lardos that it would be hard to recommend one that stands out so your best bet is to try as many as you can and then pick a favourite. Most of the time you will find just one Taverna and return there night after night. 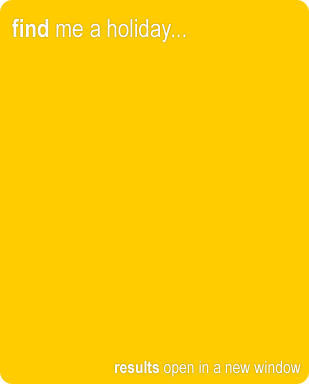 During the week you will find that Lardos plays host to some local bands offering up some excellent Greek music, with impromptu dances where everyone can join in. This is a sightseers paradise with so much going on but always retaining the charm of a small village. One of the best times to visit Lardos is when they hold their annual wine festival in September, with plenty of free flowing wine, Greek dancing in the square and grape crushing by everyone. The hotels within Lardos also offer a great deal of entertainment, from Karaoke to disco nights and other live bands playing on a nightly basis, the entertainment within each hotel complex is top notch but you must get out of the hotel and explore the amazing village of Lardos. If you want a bit more from your nightlife then Lindos is only around the corner, costing 5-6 euros in a taxi you will find plenty to keep yourself entertained and its an ideal atmosphere to take the kids also.